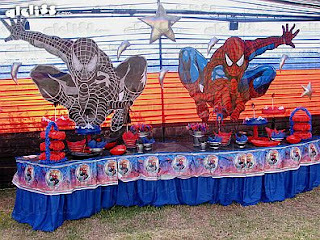 You child Birthday is coming and decided to please your little organizing a party for him and all his friends, best of all, chose as its main character holding the superhero Spiderman, allowing you to have a lot of ideas for decoration. 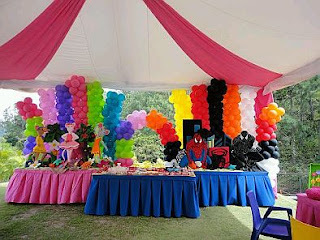 To help you a little then we present some proposals to decorate your party, that may interest you. 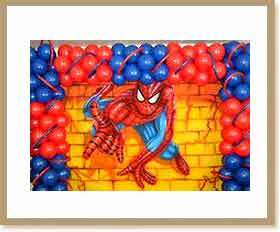 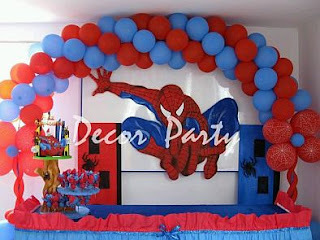 Decoration with red and blue balloons shaped frame into the image of Spiderman. If you prefer the balloon arches, this is interesting, made with the characteristic colors of Spiderman, but complement some spiders upon him, amidst the Spiderman image. 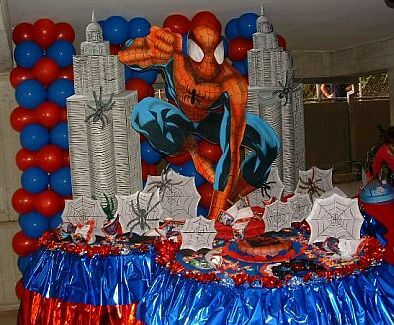 If you prefer the sheets of cloth, here's an interesting idea, ahead superhero images. Another very nice option, with the representation of a spider web, Spiderman in the middle and above, also have red and blue balloons on the sides. In this other idea you have Spider-Man in the middle of city buildings behind front columns with balloons and a number of spiders. 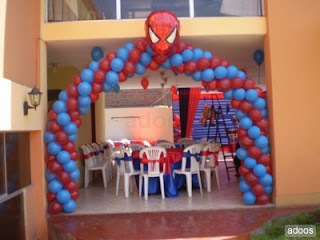 Nothing like a balloon arch to greet the guests, the detail is the face of Spiderman in the middle top. 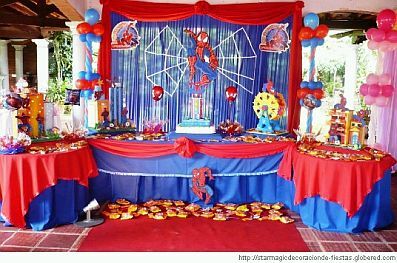 This is a nice idea if you plan to do a birthday party for a boy and a girl, but as we are interested in is Spiderman, can take as an example what you appreciate in the image. 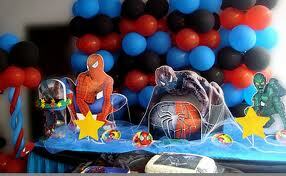 Another idea balloon arch and Spiderman placed on the head table at the party. 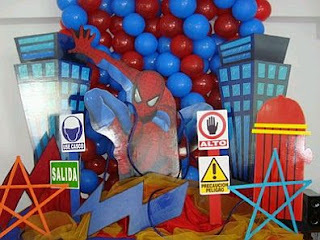 Another interesting proposal Spiderman in the city, with balloons and decorations behind shaped buildings and some other signals. 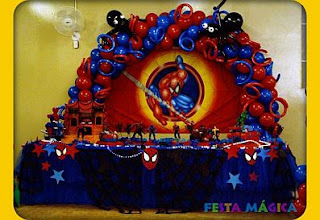 Finally, the hero in two of his best-known facets decorate the head table, behind columns ligth blue globes, red and black.